feel good time: the eve of america's birthday. 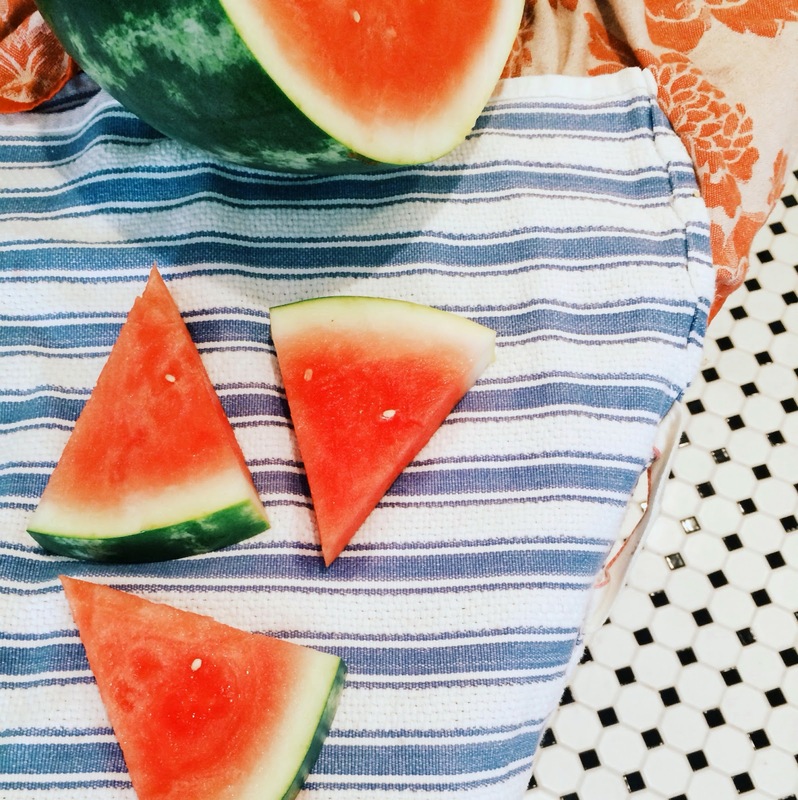 My stomach is bloated from eating too much watermelon, and that's okay because it's July - and that's how you should eat your way through the month of July. Tomorrow is one of my very most favorite day's out of the year. I love America's birthday more than my own. I love that the whole nation comes together despite our differences and we celebrate our country that let's our freedom ring from sea to shining sea. Tonight, I kicked my feet back in silence until I began to hear a loud booming and knew it was the sound of a magical firework show ringing in the celebration of the 4th. So, I jumped out of my seat, threw on my flip flops and I ran down the block over to Palisades Park and with the warm sea breeze cooling the summer night, I leaned over the railing to view the coastline of America and watched magic happen in the sky miles down the coast in Malibu and it made me smile. Everyone around me was silent. It was a good quiet moment to take in what we have been given as American citizens. What love I have for this country and for our soldiers who fight selflessly for us. May tomorrow be a beautiful day!